Our Halloween candy is starting to arrive. There are so many fun treats to pick from and many of them are only available for a limited time. There is your traditional Halloween candy that is a must have. 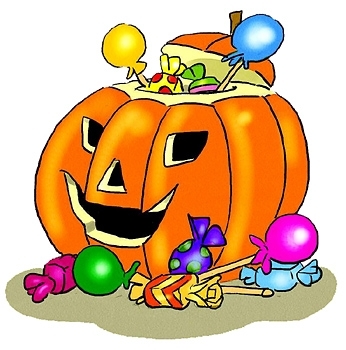 For many Halloween would not be the same if they didn't have some of these candies to eat. All of these candies have been around for years. I can remember always going to my grandparents house and you would find a dish sitting on the kitchen table over flowing with candy corn and candy pumpkins. As a kid I really didn't care for these, I would have much rather had chocolate, however I would find myself reaching many times into the bowl to get a few pumpkins or corn kernels. Pumpkin seeds are a great treat and somewhat healthy too. I was so surprised as a teen to find out you could buy pumpkin seeds in the store. I thought the only way to get them was by digging them out of your pumpkin and cleaning all the slimy pumpkin off of them and baking them. There was always so much excitement around our house when it was time to carve the pumpkins, however no one really cared to scoop all the seeds out and clean them. I would always hunt down the biggest pumpkin figuring it would have the most seeds, but that was not always the case. At one time you could only get wax fangs at Halloween and the wax lips for Valentine's day. We are happy to say that we now carry these fun wax candies all year long. The kids love getting these for Halloween. Once the word was out who was giving these out there would be a line at the door and all the kids in the neighborhood were running around as vampires. Peanut butter kisses are made by many companies, however the most tasty brand are the Mary Janes. We get so many customers calling asking for these, however they never know they name. They are famous for being called the peanut butter candy in the orange or black wrappers. I really did hate getting these for trick or treat. I would stand in line in anticipation just waiting to see what I was getting . When I finally got to the door and held out my pumpkin and would see that black or orange wrapped candy get dropped in I would try and smile and say thank you. I am really not sure if it was the peanut butter kiss it self or the fact that it was so small that didn't appeal to me. Caramel Apple Pops are a favorite candy available all year long just not as easy to find locally as they are at Halloween time. Kids love these green apple suckers covered in caramel, but so to the adults. So many times when we hand these out as treats we see the parents taking them out of the treat bags and eating them. If you have seen these suckers and have never tried them I think you should it is amazing how much they taste like a taffy apple. When Tootsie first brought these out they were only available in the fall, but due to their success they make them all year now. So now you have it, the list of the most traditional Halloween candies that are our best sellers. Keep in mind there are many other treats available which we will be talking about soon. Just remember if these are a must have treat for your gatherings don't wait to long to buy them, by mid October you will no longer be able to get them.